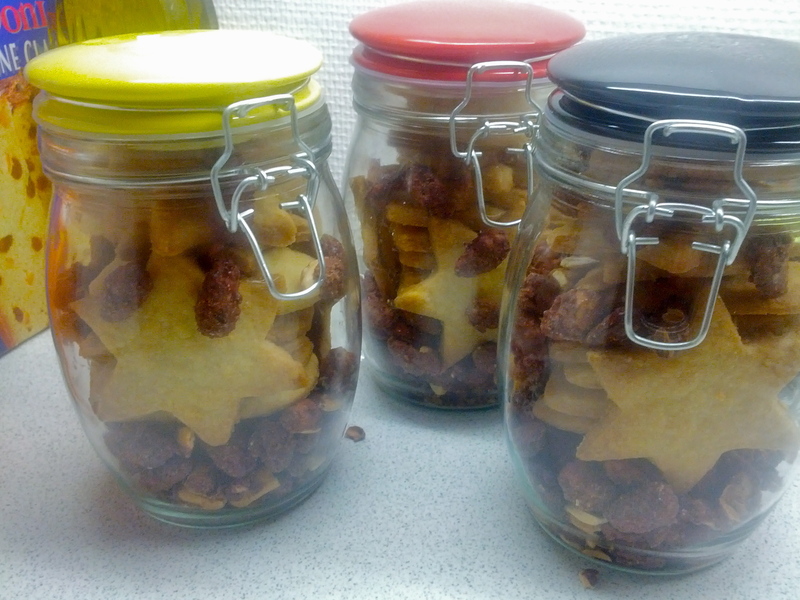 As an add-on to all the other gifts we gave Bif’s family, I decided to bake a bunch of Shortbread biscuits and put them in jars I had bought, along with some “burned almonds” (almonds with sugar burnt around them). As a kid, we were encouraged to make gifts rather than buy them. 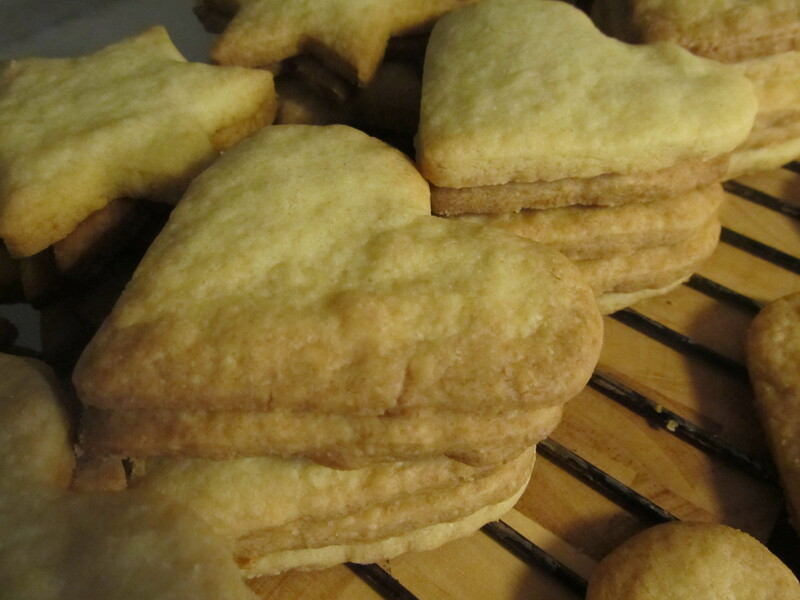 My grandparents loved it and my Opa (granddad in Dutch) always loved getting the biscuits we made. Along this track, my mum found out that making shortbread was by far the easiest with 4 sets of sticky fingers. This recipe is about as close as I can remember it to be and they tasted pretty accurate. I managed to get 72 out of one batch of dough. Cream together the butter and sugar in which ever mode works best for you. Sift in the flours and caster sugar gradually, mixing quickly after each addition. Knead gently until the mixture is combined and smooth. Split in to smaller batches and wrap in cling film. leave in the fridge for 3o min. This makes it easier to roll but is not necessary. On a floured work top, roll out the dough to about 5 mm thick. This could be harder than thought and the dough may split a bit at the sides, but you can just push it back together. Bake for 15 to 20 min ( mine only took around 12 min so make sure to check them around 10 min) and allow to cool for 10 min before moving. The Telegraph also has a bunch of flavour variations. And the finished product! 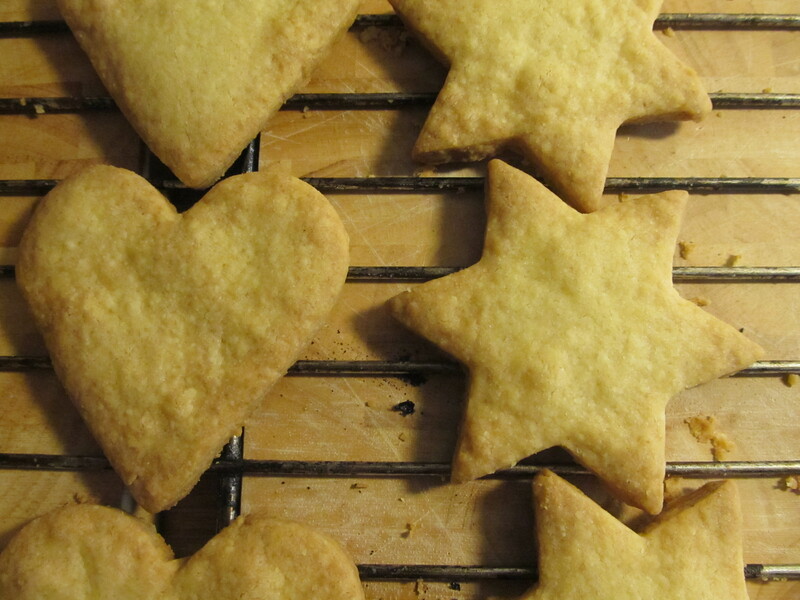 The Danes loved them, though I doubt their waist line did with all the butter. What is Christmas for if not to eat unhealthily? 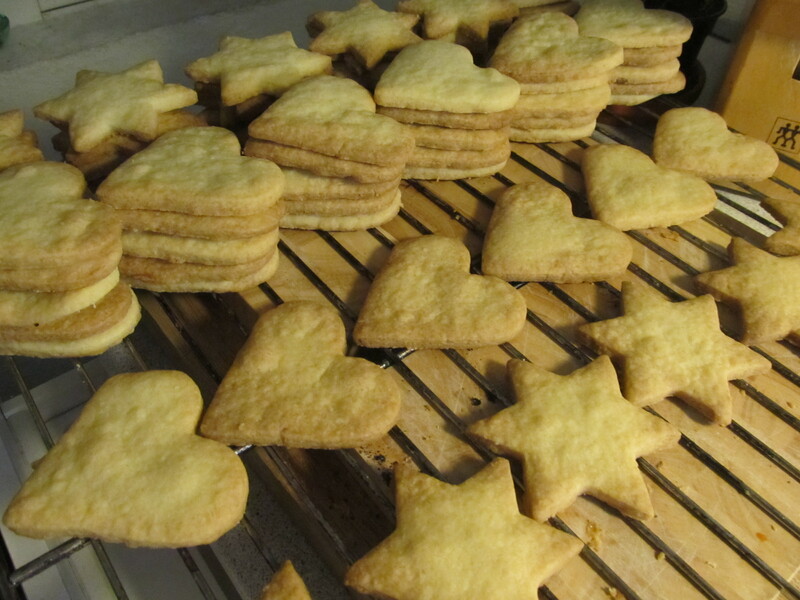 You are currently reading Shortbread Galore at A La Amelia.